Daily Kos and Bend the Arc Jewish Action are coming together for a massive nationwide grassroots mobilization of the Jewish community to travel to key swing states — on Sunday, October 30 and Monday, October 31 — to get out the vote for Hillary Clinton and move forward our shared vision of an America rooted in justice, equity and dignity. Working with partners in the progressive movement, you’ll get the tools and training to canvass in the states that will decide this election. Together we can help defeat Donald Trump and make it clear that the Jewish community rejects his dangerous platform of bigotry and hatred. From select locations (NYC, SF, LA), Bend the Arc Jewish Action will be chartering buses and renting hotel rooms so you can travel with dozens of other progressive Jews who want to make a difference in this crucial election. Everywhere else, you can sign up for canvassing shifts. Travel scholarships are available by request. 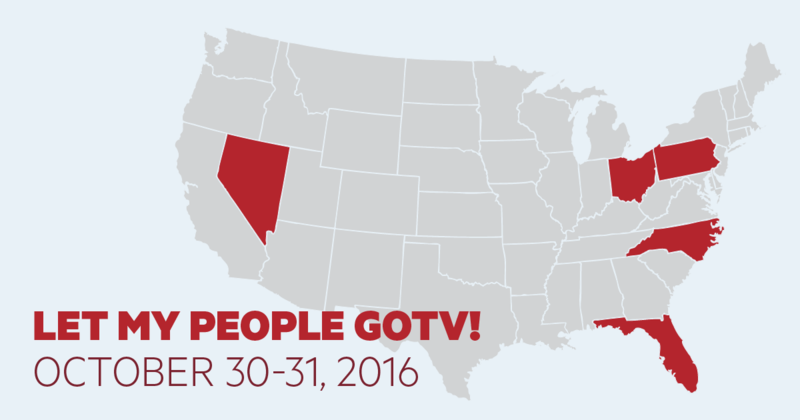 Sign up to join Let My People GOTV! By signing this form you will receive periodic updates on offers and activism opportunities from Daily Kos and Bend the Arc Jewish Action. You can unsubscribe at any time.